If you have strayed on to my site I am a Stampin' Up! Demonstrator and I usually post up pictures of cardmaking and scrapbooking projects, however from time to time I post up other random crafts that I have done. I hope you enjoy today's post and will come back to visit my site again. So, something a bit different today! Here is a project I have been working on recently, it is a headdress for a handfasting... in particular, mine! I have been keeping this under my hat a little, it was a low-key swapping of vows at a Beltain celebration with friends. I loved making this and the result was way better than I had ever imagined. I think my number one tip for making a beautiful headdress is to find flowers that look as real as possible if you are using fake flowers. 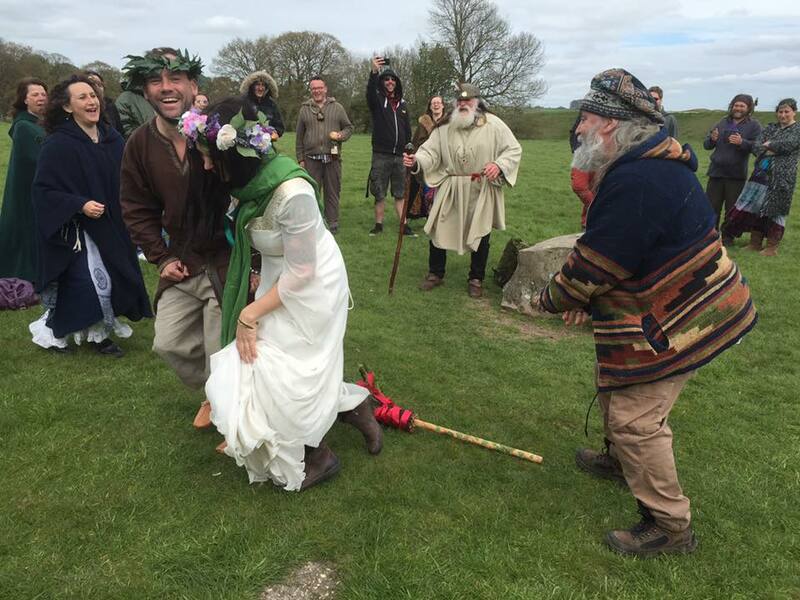 I used fake flowers for several reasons - because my handfasting was on a Sunday, and I was not sure I would get flowers early enough on the morning, or have the time, to get it made and I didn't want the pressure. I also didn't have a very big budget as I was using some money I was given for Yule, but the flowers I bought cost me quite a bit in the end. One benefit of going fake means you can wear your headdress again and again and negates the cost in the end. I already had the jewellery making pliers so the remaining cost was under £5. I shaped a loop using a couple of strands of wire and wrapped tape around the end product after checking my head for size. I attached flower heads to the wire and twisted around the head-piece. I fixed everything in place with tape and added in flowers and leaves where needed until I had a full headdress. I used up all the flowers I had bought.